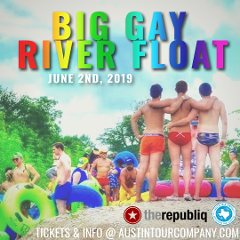 Join us for the 4th Annual BIG GAY RIVER FLOAT on Sunday, June 2nd!! 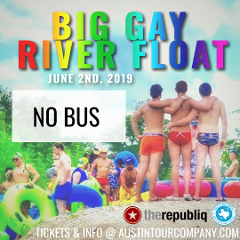 Join us for our fourth annual BIG GAY RIVER FLOAT on Sunday, June 2nd!! 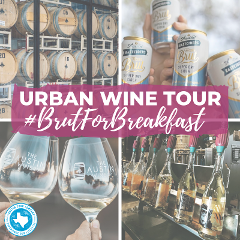 Join us on this exclusive local tour as we drink #BrutForBreakfast and explore Austin's growing Urban Winery scene! Wurstfest was voted the number two Oktoberfest in the country! Book your spots now for round trip transportation between Austin and New Braunfels, tickets into the fest and other perks included! Wurstfest was voted the number two Oktoberfest in the country! Book your spots now for round trip transportation between San Antonio and New Braunfels, tickets into the fest and other perks included! Come aboard Santa's Sleigh for a journey full of cheer and cheers-ing as we explore Austin's most festive holiday bars! 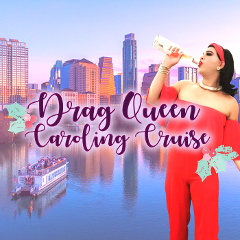 Join us for THE DRAQ QUEEN CAROLING CRUISE with a special holiday menu designed by DEEP EDDY VODKA! 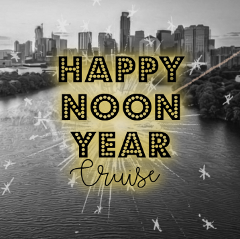 Join us for a daytime New Year's Eve Bash!